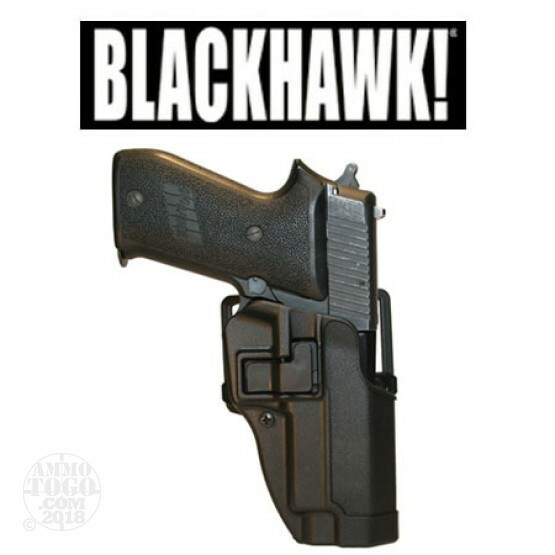 This is a Blackhawk SERPA Holster for Springfield XD Compact (or Service Models) Right Hand Matte Black Finish. Featuring a unique speed-cut design, the CQC Carbon-Fiber Holster allows for smooth draw and easy re-holster without slowing you down. The patented SERPA Auto Lock release delivers unparalleled weapon security and is automatically positioned to facilitate a correct drawing motion, making it the perfect Level 2 retention holster for concealed carry. Passive retention detent adjustment screw and SERPA Auto Lock release. Reinforces full master grip and superior draw technique. Immediate retention and audible click upon re-holster for security. Speed-cut design allows rapid draw, target acquisition, and re-holster while keeping eyes on target. Includes belt loop and paddle platform. This holster is for Springfield XD Compact (or Service Models).